يشكل فندق فندق كانتري كومفورت إنتر سيتي بيرث بموقعه الممتاز في منطقة الأعمال ضمن المدينة، مكاناً ملائماً لقضاء العطلة بعيداً عن عجقة أيام العمل. يمكن من هنا للضيوف الاستمتاع بسهولة الوصول إلى كل ما تقدمه هذه المدينة النابضة بالحياة. كما يمكن الوصول بسهولة إلى عدة معالم سياحية قريبة. بالإضافة لهذا، تتضمن كل غرف الضيوف مجموعة واسعة من وسائل الراحة . بعض الغرف توفر حتى تلفزيون بشاشة مسطحة, بياضات, مناشف, اتصال لاسلكي بشبكة الإنترنت (مجاني), غرف لغير المدخنين لإرضاء أكثر الضيوف تطلبًا. يقدم الفندق خدمات رائعة كمثل حمام سباحة خارجي, ملعب للأطفال, حديقة لمساعدتك على الاسترخاء بعد نهار طويل من النشاط والتجوال في المدينة. مهما كانت دواعي سفرك فإن فندق كانتري كومفورت إنتر سيتي بيرث هو خيار ممتاز لإقامتك في المدينة. يوفر هذا العقار خدمة الاصطحاب من المطار. يُرجى الاتصال بالعقار عند الوصول. هذا العقار يوفر خدمة التوصيل إلى المطار. يرجى الاتصال بالاستقبال عند تسجيل الوصول. تتوفر خدمات النقل من المطار مجانًا من مطاري بيرث الدولي والمحلي (T1 - T4) عند الطلب. يُرجى الاتصال بالعقار بعد جمع الأمتعة وإجراء التخليص الجمركي والهجرة باستخدام معلومات الاتصال الموجودة في ورقة تأكيد الحجز. تتوفر خدمة حجز الانتقال من المطار للحجز عند تسجيل الوصول في العقار، كما تخضع الخدمة للتوفر ومواعيد المغادرة المجدولة. خدمة النقل متوفرة فقط للنزلاء المسافرين بالطائرة. Free airport transfer even though it is 3 a.m., we really appreciate it. I would say this is one of the most important things to a tourists. 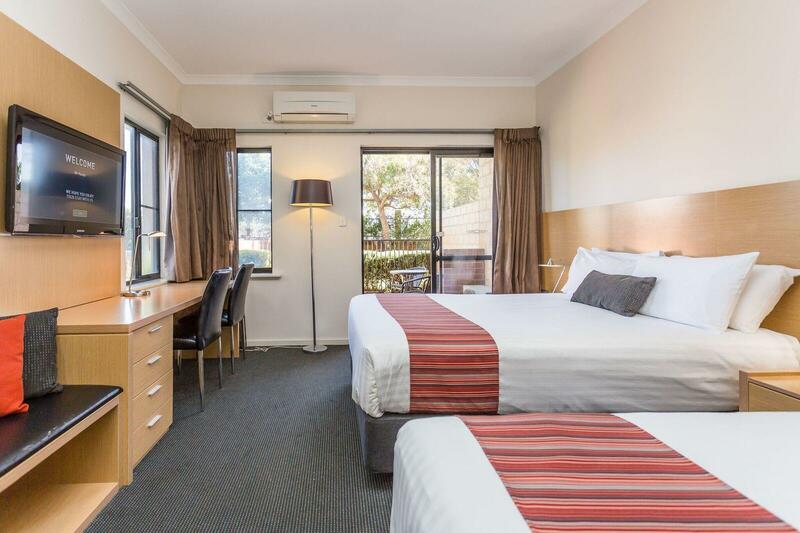 The hotel is clean and tidy, the room is large and comfortable. This is our second time here & its great. 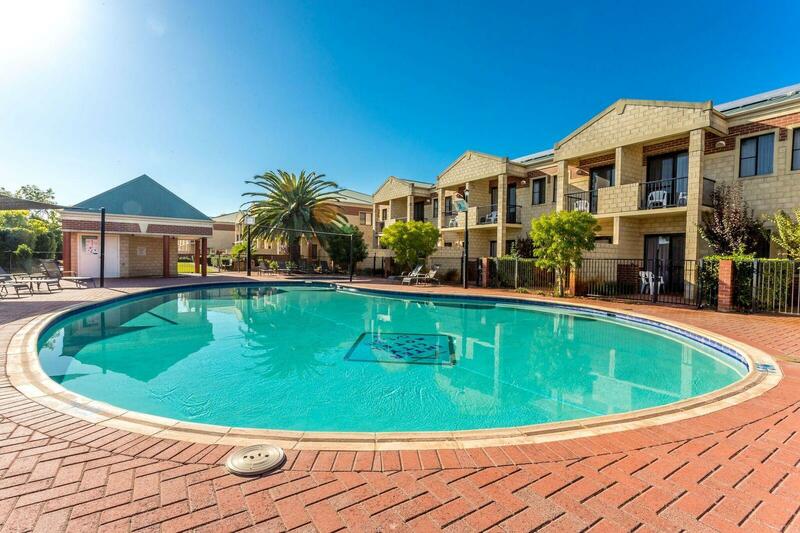 Good location, safe clean, friendly, great facilities, 24 hour reception. Rooms are updated & fresh, shower is hot & clean. Very good value for money. we will be back. Attempted to contact them via multiple means (agoda, direct, different booking sites) and did not manage to get them prior to travel. We called past midnight when our flight touched down for a pick up and it arrived in approx 20 minutes. Stayed at the block in the back (?) and the corridors felt a little like a "hostel" or motel but the rooms were comfy!!! Bathrooms were clean and modern (: The drop off to airport next day was punctual. Overall very short stay (touched down late at night, left early morning) so there wasn't a need to explore the actual hotel and vicinity though. We found the Country Comfort to be a well managed establishment with very clean , well equiped roons , a great restaurant and charming courteous staff,. 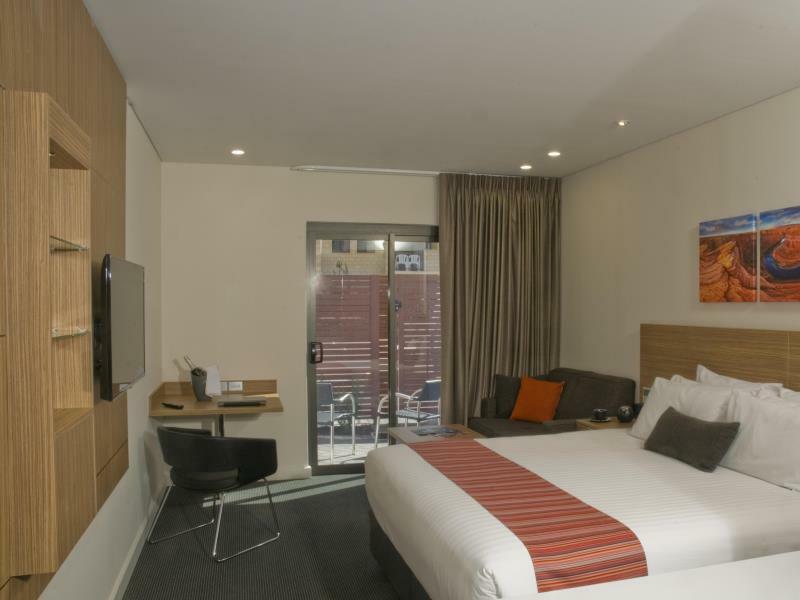 We always stay here on our trips to Perth . . Very pleased with the hotel. 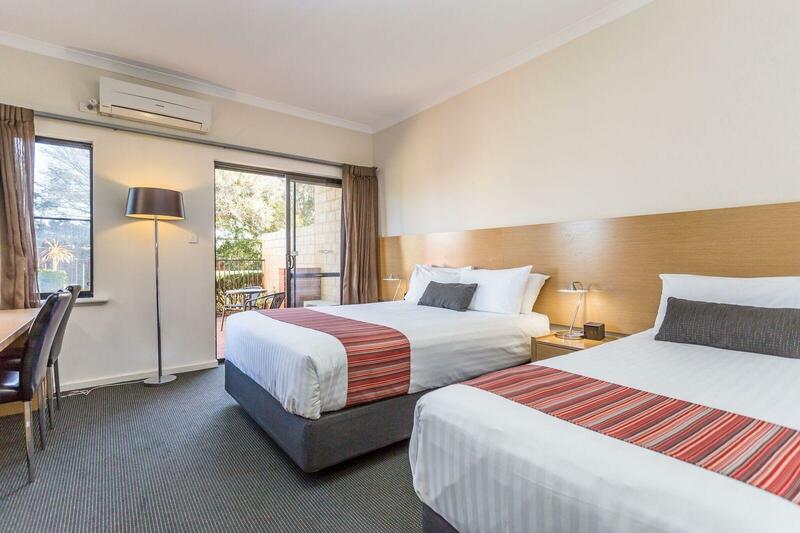 We stayed one night on our arrival in Perth and booked to stay the night before our flight home because we were so happy with the facilities. We will definitely stay again when we next visit our Australian family. First time I have stayed at this facility. I found it to be good value for money. The restaurant was really good, staff were friendly and helpful. The room was clean and tidy, bathroom had clean and soft towels, and more importantly the shower was piping hot which I appreciate. I will defiantly stay there again. Friendly staff for letting us to check in earlier when the room is ready. Free transport to airport and on time is a credit for us because we have to catch our early flight. Would definitely come back again ! Clean bed, spacious room with good set up room. High pressure shower and clean bathroom certainly made my stay more comfortable. Pick up service is definitely a plus point for travelers. Near airport if need to catch early flight. Otherwise need a car to move about to the city. Will stay again. My family stayed here becsuse it was close to the airport & car rental place. Wow its a gem. 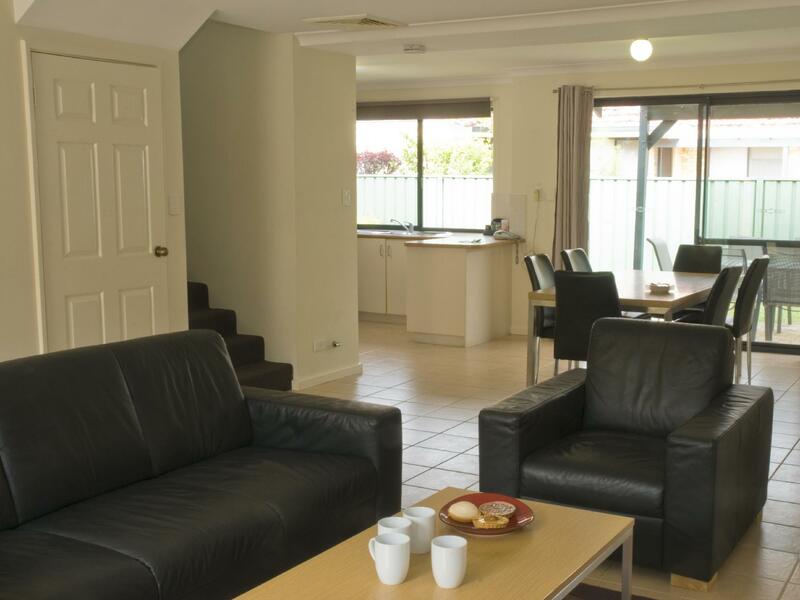 Lovely clean room, pool, playground & bbq area. Safe & secure. Staff is friendly & helpful. Restaurant is reasonably priced & open at convenient times. We will definitely go back there and stay longer next time!! On arrival we were greeted by Emma on reception who arranged to store our luggage and even arranged a coffee for us as the kitchen had just closed. The shuttle got us to the airport in plenty of time. Our room was clean & comfortable. We would definitely stay again. I have an early morning flight at 6am the next day and I was deliberated at first whether gonna stay in the airport the whole night or better off to find a place to stay nearby airport.After surveying and asking some opinions around,I have decided to stay a night at this place and i have made a right choice do to so.I managed to check-in early upon arrival and the check-out process were pretty smooth and quick.Free complimentary shuttle bus also was provided every once an hour direct to the airport upon request (prox. 10 minutes drive to the airport).The room was clean,cozy and the amenities that i needed were provided too.Highly recommended for transit and to freshen up if you need to catch an early flight in the morning or the next day. Friendly staff. Bus to CBD was easy. They provide free shuttle service to the airport. Leaves on the hour and takes 20-30mins to get to the terminal. Cannot find any fault. Staff good. Transfer excellent even 4am room. .clean room.